Bandwidth - Below Zero understand that the success of any online service is dependent on its availability to visitors at all times. 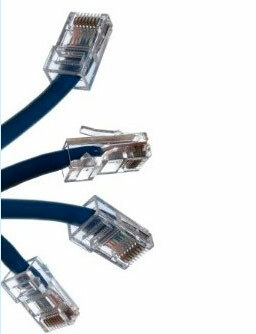 To achieve Zero Downtime our customers are connected to multiple physical lines for connectivity, over several of the world's finest bandwidth providers. At the heart of our networking infrastructure is state-of-the-art BGP4 routing that offers optimal data delivery and automatic multihomed failover between our outstanding providers. Customers may rest assured that we only use the highest quality of bandwidth; our policy is to pay more for the best of breed providers and because we buy in bulk this doesn't impact our extremely competitive pricing. Inside the central Edinburgh Data Centre our primary providers are TINet and PSINet who provide us lightning-fast connectivity through LINX, Europe's busiest internet exchange, ensuring our customer data integrates with other major backbones in as little as 6ms. Our exceptional network in ScoLocate is simultaneously powered by Cogent Communications, Entanet and Onyx Internet. This combination of providers offers far greater network reach, faster data delivery and significantly superior levels of network reliability.